Divorce brings many emotional, financial, legal and housing considerations. At this time, non-emotional, objective and informative information can help you make the right decision, when it comes to the "house." Do you want to stay in your home? Will this bring unpleasant memories? Do you want to reduce change by staying put? Perhaps you would like to start over with a new home. After considering these logical questions, the budget will also determine your direction. Can you manage the mortgage payments on one salary? Will your spouse be contributing? Can you refinance the home? Perhaps it is better to sell and buy another home? Here is a review of the financial and legal considerations of each of these options. In this situation you will want to maximize your home's selling price. A Real Estate Professional can assist you in this regard. He or she can give you a professional evaluation of your home in consideration of the local market and similar homes that have sold in your neighbourhood, and in consideration of the overall condition of your home. You will also understand what your net proceeds will be after selling price, expenses and divorce settlement. 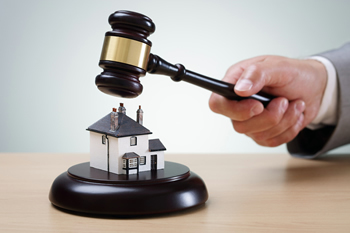 Your settlement may not be 50/50, but rather, will be determined by negotiation and legal requirements. If you are planning to stay put you need to consider the financial obligations. Can you continue making the mortgage payments on one salary? Perhaps you can renegotiate the mortgage or look at finding additional sources of income. When you decide to leave you have the opportunity of getting a fresh start over in new surroundings. In the process however, be sure to speak to a lawyer and your financial institution to arrange for the proper transfer of title. If both husband and wife are listed on the title, then you are both liable for the mortgage. With this liability it could be difficult to qualify for a new mortgage. Some people choose to keep the ownership as it is while one party remains in the home. This works for the short term. However, for the long term, you will want to consider tax and estate issues. Before you make any decision, be sure to speak with professionals including a Real Estate Professional, lawyer, accountant and financial representative. Be sure you consider all your options, and understand the ramifications of each. With this information you are sure to make the decision that is in your best interests.